I have worked primarily in Ruby for a few years now. Its ease of learning and versatility make it both a great language to start with and to use in the real world. Lover of Open Source and Ruby! Reach out to me and get in touch with any questions or collaborations, I love to network and help. I love Ruby and have been using it professionally for more than 10 years. I also have been spending time on how to write a easy to read and easy to extend Ruby code. I am new to mentoring and a non-native English speaker. Please excuse my brevity. If my feedback to you is rude, first I am sorry and second it was not my intention. Please do reach out to me, it gives me an opportunity to learn through feedback for mentoring. I love the Ruby programming language; it's a joy to write code with it. The majority of my development experience is with Ruby, and I'm excited to help others learn it. I love Ruby and am very passionate about it. I have used Ruby (and Rails) professionally since 2009 and have maintained the RubyConf Philippines site as a volunteer since 2014. I'm working with a Ruby based Ruby backend legacy System. I found it a powerful language but dangerous at the same time, so a good discipline is key for working with it. I'll try to share some of my experience here. I've been using ruby professionally for five years. It was the first language I really fell in love with, and it's still my goto tool for quite a few tasks including web development. Hi! I'm a Ruby developer from NYC looking to help grow the community and get more people writing Ruby! I started working with Ruby 6 years ago and immediately fell in <3 with its elegance and expressiveness. However, one of the things that (still) appeals to me the most is the incredibly savvy, creative and welcoming community behind it. I'm grateful for the opportunity to be a part of it via this amazing project! I'm a programmer trying and learning how to write beautiful code. I've been developing in Ruby for 6 years. We use Ruby heavily at GoFan, I am excited to be a mentor. I first began programming with Python, but once I tried Ruby I never let go. Ruby has a flexible, elegant syntax, and the community is embracing and amazing. It's the community, for me, that makes me a proud Rubyist. I love Ruby for its simplicity and readability. I have been using it professionally for more than 3 years. I love mentoring ruby because it giving me ability to learn something new. Ruby is awesome. It's easy to learn, easy to read and yet so powerful. I've learned many programming languages and ruby will always be my favourite one. Besides the ruby community is super nice! Ruby will always be dear to me because it lets you say what you need in the way that you want. I use Ruby at work. Ruby is the most natural language I've ever learn. Its object-oriented nature can help you understand the OO concept. I've been using Ruby in my career for five years both in my workplace and opensource projects. I love Ruby for the joy it brings me. Been using it professionally for about 7 years, mostly for glue scripting things. Dabbled a little with Rails. I'm a senior Ruby dev professionally at my company. I have taught many new devs and devs coming from other languages Ruby and Ruby on Rails. Electrical engineer turned fiction writer turned bum turned Ruby on Rails developer. I love Ruby, Sandi Metz, and Exercism. I live in Quebec, Canada. Been working with Ruby professionally for the last decade. <3 Ruby for the happiness and joy it gives me when I'm working with it. I love how simple and readable Ruby is. I've been programming in it professionally since 2016, and would like to help other people discover and enjoy using it. I'm a developer for 4 years and the last year I have been working with Ruby. Exercism is a great help to get over the C and C++ habits and move to the Ruby way of thinking. Likewise, it makes me so happy to be able to give back to this community as a mentor! Backend engineer at Lokalportal. Been writing ruby for just shy of 5 years. Full time backend engineer. Rubyist. I use Ruby for its natural syntax and vibrant community. I love Ruby! I have been writing Ruby for more than 5 years. Ruby is a joy to use. It is expressive and readable with a wonderful community. I am excited to help you get started! I've been writing Ruby professionally for more than ten years. In 2017 I developed and ran an apprenticeship program where we practiced Ruby exercises on Exercism every day. I love Ruby for its expressiveness, readability and the awesome community. I learnt a lot of good practices in Ruby while solving exercises on exercism and later started using it to mentor people in my workplace. Now I am really excited to do it on a wider scale! When I started to be bored by Java some 10+ years ago I discovered Ruby and it has been my go to language for any personal projects since then. I also have had the fortune to work with it professionally a couple of times. Software Engineer, programmer lover, Jiu-Jitsu fighter and code addicted. (He/him pronouns). I've been a Ruby developer for a couple of years (since 2016ish), and I've been helped along immensely by friends and the community--I'm looking forward to paying that back! When I'm not working with code, I'm probably playing or making tabletop RPGs. I've been working professionally with Ruby on the backend for about 5 years. Looking forward to share my love of Ruby. Ruby was my gateway from English-lit to programming. I've been using it professionally for over five years and love it! I'm a lapsed mechanical engineer and robotocist turned software developer, deeply in love with Ruby (although Elixir is pretty great too). Currently the Application Development Manager @ Yale University. In coding, ruby was my first love. I've been writing it professionally for >4 years and love how expressive it can be. Have you seen the ruby poetry? Ruby launched my software development career, and I love its simple syntax and minimal amount of concepts. The Ruby community has also taught me so much that I can bring to whatever language I am using. I'm a Ruby on Rails developer and I fell in love with Ruby many years ago, probably because it is made for developer happiness and productivity. Happy to help you learning this nice language! I am a software engineer by training, build and run software teams in practice, and am a longtime fan and user of Exercism! I love Ruby because it delivers on its promise: programmer happiness. As a programmer, I'm happy when my code is intention revealing, easy to reason about and easy to change. I have used Ruby to build 4 startups over 12 years and I'm not done yet. I've been working in IT for 20+ years, and Ruby is the first language I've found that I consider truly elegant. I've learned over that time that everyone is constantly learning - I hope we can learn together! I got introduced to Ruby through writing Cucumber tests for a web app. I got addicted to using ruby as I wrote it more and more - it's truly a fun language to write. I use it both for OSS projects and for tooling at work. After working with Ruby for a couple of years, I love it. I also enjoy teaching and mentoring others, plus it's a great way to refresh knowledge. Backend developer. 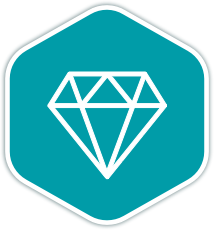 Love Ruby because I find it to be very intuitive, clean and easy to learn! Ruby is the first language I've developed in professionally, I love it for it's readability and how it was developed with the intention to bring joy to those who write it. I have more than 10 years of production experience. I love Ruby because of its friendly and active community. Nothing is impossible when you do what you love! Happy coding! When I started dabbling with programming in Ruby over 15 years ago, I did not expect it to pay my bills ánd make me happy! I have found Ruby the most fun language to use. I've been using Ruby full-time since 2006 (mostly Rails applications). I enjoy learning and teaching programming languages. Web development enthusiast. I got my start using Ruby in 2014, learning Ruby on Rails and used it to launch my freelance career that eventually led to becoming a fulltime software engineer at CardFlight. I've worked with Ruby professionally for over 10 years now. The Ruby community is so incredible and I'm happy to be giving back as a mentor. Ruby and Ruby on Rails Developer, have a bit of experience, happy to share it with everyone. I am a professional Ruby-on-Rails developer, programming enthusiast and have been programming in Ruby since 2016. I am a backend developer with ruby from 4+ years. I love ruby and spend a lot of time on my projects with ruby.